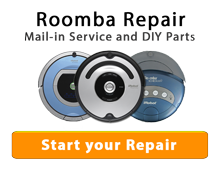 Nationwide Industry Leading repair service and replacement parts for Roomba, Scooba, & Neato robots. Do you have a sick or broken robot? Are you having trouble finding someone to fix your robot and can not dream of ever throwing your beloved robot away? Our skilled technicians, friendly operators, and 100% secure website are here to help get your robot repaired as quickly and as easy as possible. 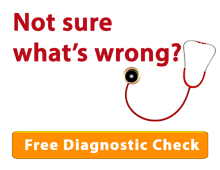 All repairs and new parts are backed by our exclusive 200 day warranty. 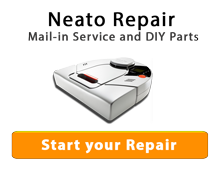 Our goal is to provide you the best robot repair service possible in the world! Ready to begin? 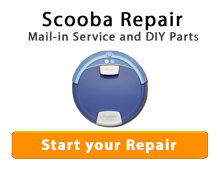 Click on your repair type above or call us toll-free at 1-855-FIX-ROBOT . "I am very impressed with your honesty and integrity. I would like to go the less expensive route this time around, but know that you have a customer for life based on you customer service. " Jim, Gibsonton FL.